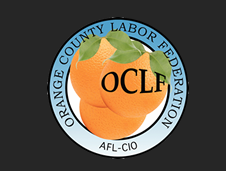 OC Labor Federation | VOTE! Click here to find your polling place and VOTE on June 5th! Know your Voting Rights and learn how to protect the vote on June 5th. Volunteer for our GOTV phone bank or precinct walk. 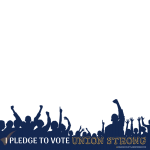 Add a “I pledge to vote UNION STRONG” frame to your Facebook profile picture (search VOTE UNION STRONG) to spread the word about voting.